Brandon Naurato has been building his hockey training resume in impressive fashion the last few years. Turns out, his hometown team took notice. 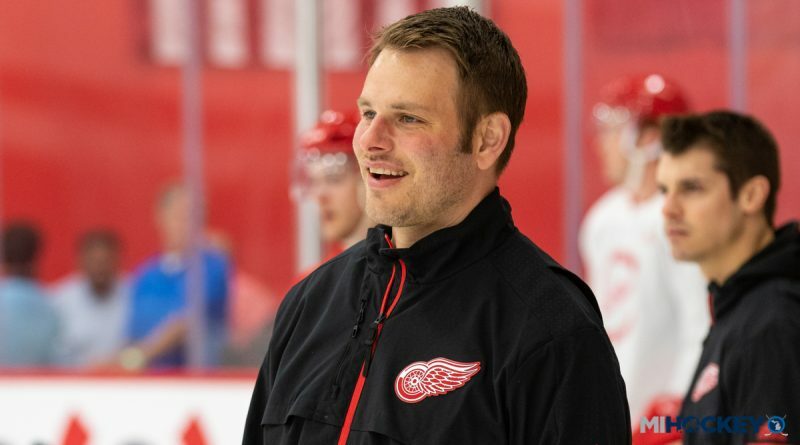 The Detroit Red Wings have hired Naurato, a Livonia native, as a player development consultant. Naurato, a Detroit Catholic Central and University of Michigan alum, will be working for director of player development Shawn Horcoff and player development assistant Dan Cleary in his new capacity with the Winged Wheel franchise. The road to Hockeytown began with a meeting between Naurato and Kris Draper. Naurato, the director of player development for Total Package Hockey, showed Draper how he was constructing the training curriculum for TPH based around his own analysis from hockey’s highest level. Naurato founded the Detroit branch of Total Package Hockey in 2012. Along with operations of the TPH Center of Excellence, he has worked with the likes of Zach Werenski, Kyle Connor and Andrew Copp while also serving as a skill development coach for the OHL’s Saginaw Spirit. “I showed Kris Draper what I did throughout the course of the year and showed him what I was doing with studying individual players at the time,” Naurato said. “Really, what I did was I clipped every goal by the top 20 goal-scorers in the NHL in the last three years, and that’s how I built a development plan for TPH. Here’s what the best guys in the world are doing, here’s how they create time and space and manufacture offense – these are the skills and concepts that we need to teach. I guess he liked what he saw – that was awesome on its own. Naurato will be working primarily with Red Wings prospects in Grand Rapids in his new capacity. He’s the latest Michigan native to join the Red Wings’ braintrust. The Livonia native joins Blashill (Sault Ste. Marie), Bylsma (Grand Haven) and assistant coach/video Adam Nightingale (Cheboygan) as homegrown coaches in Detroit.